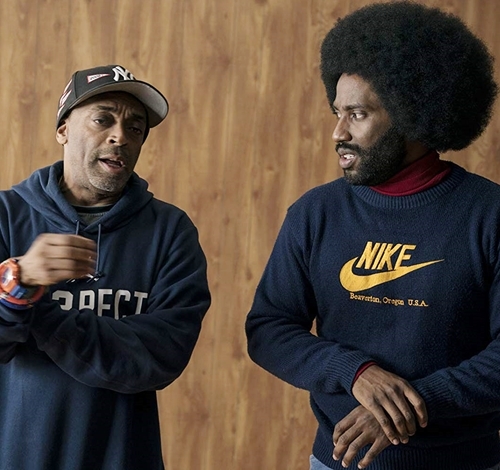 Spike Lee will show his new film, “BlacKkKlansman,” during the National Association of Black Journalists convention in Detroit on Aug. 4, Julie Hinds of the Detroit Free Press reports. The two-hour and 15-minute movie, reaching theaters Aug. 10, stars John David Washington as an African-American police officer from Colorado who infiltrates the local Ku Klux Klan and becomes head of the chapter. Adam Driver, Topher Grace and Alec Baldwin also are in the cast. The director and Washington are schedule to discuss the film after its preview screening at the Detroit Film Theatre at the Detroit Institute of Arts. Admission is limited to association members and members of Friends of the Detroit Film Theatre. NABJ hopes to draw about 3,000 writers, editors, photographers, designers and other media professionals from Aug. 1-5.